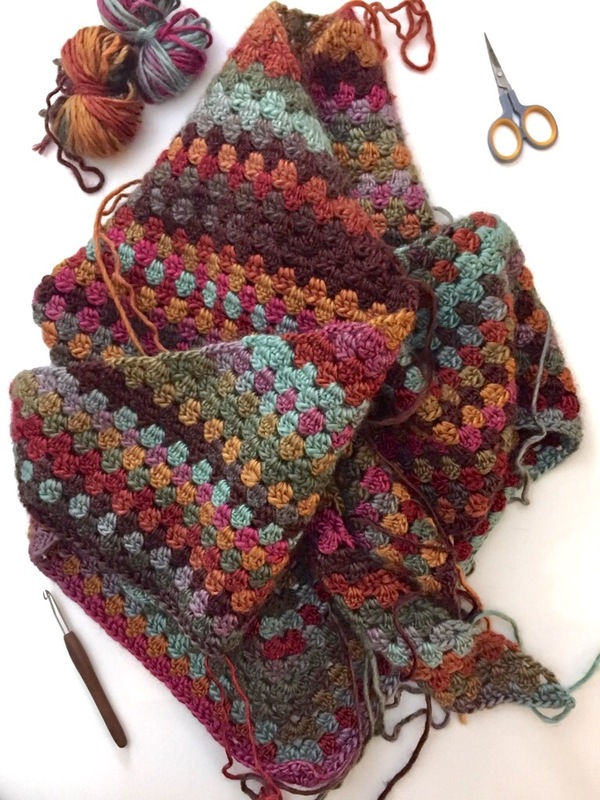 pattern release: quick & simple granny shawl! The Quick & Simple Granny Shawl pattern has been tested and is ready to go! Read about & download the free PDF below. 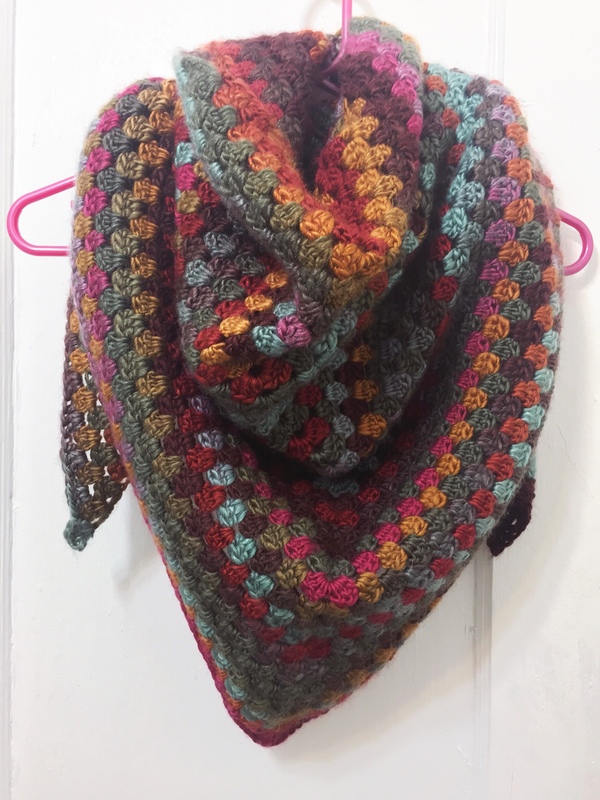 Gauge is not important, just crochet until the shawl is the size you want! The other pictured example below uses a DK weight yarn, King Cole Riot, with the 6.0 mm/US J hook for a lacier feel; this is a great example of how you can customize the pattern to your liking! Pattern testing & the King Cole Riot example were done by the lovely Claire, owner of the blog Mollie & Claire. Thank you Claire! CLICK HERE TO DOWNLOAD FREE PDF! Turns out 4 balls of Lion Brand Landscapes (colorway Desert Spring) was not enough to finish the shawl. Thank goodness Wal-Mart had 2 more! I had a few ounces leftover from making sure the colors blended seamlessly between balls (although it wasn’t really necessary, it would have looked fine with abrupt color changes), but I pretty much used all 6 balls. 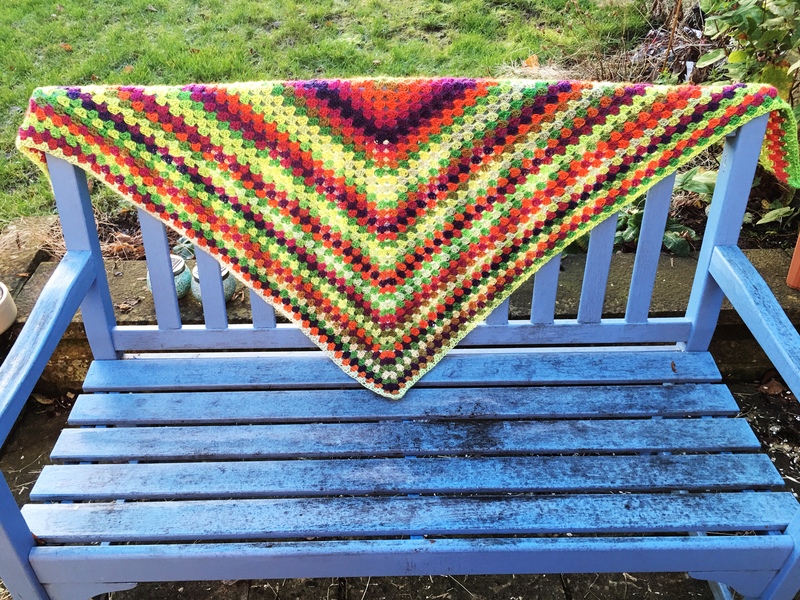 You might think that, as a simple granny triangle, this wouldn’t require a written pattern. 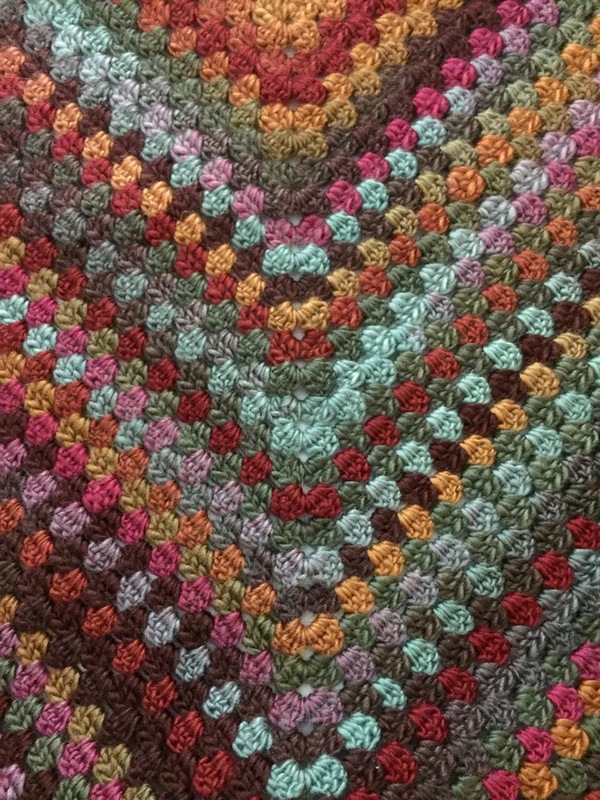 However, there are a surprising amount of ways to make this shape, with different numbers of chains, treble stitches on the end of rows, & different row transitions altogether. I might write this up and post it if you’re interested. Never thought these colors would go so well together. Who woulda thunk? Well, Lion Brand did. Thanks Lion Brand! Even though this is acrylic I can tell already it’s going to be toasty — I can’t wait to wear it if it will ever get cold enough for my heavier weight items! Today the high reached 70 degrees Fahrenheit (21 degrees Celsius), so I didn’t even need close toed shoes or long sleeves for most of the day. It’s December. Go home weather, you’re drunk. The knitted cowl is coming along, I’ll have more to share on that soon hopefully but I do have to make 3 more Christmas gifts! Better get busy. That’s all for now then, thanks for stopping by! Let’s start with the happy! I finally finished my Maeve shrug! It’s kind of hard to tell since I can’t take a good picture of my back but there is some sagging around the armpit area & under the back band where it connects to the garter stitch section. This is something that many people who have made this shrug have run into, and perhaps if I block it I can at least fix the second part of the problem, I dunno. And I don’t really mind the whole bat wing look, so the saggy armpit parts aren’t the end of the world. Both of these issues occur, I believe, due to the fact that the shrug won’t stay completely up — the wide garter band that goes around is 12″ and that much fabric at your neck doesn’t really work — it just pushes the shrug down a bit. That’s how the model’s wearing it in the pattern photos so I guess that’s just how it sits. Even if it has a couple of small cosmetic issues, this shrug is SO COMFY. I know I’ve used a lot of caps in this post and I don’t usually do that but that just shows you how much I mean it! The shrug is very warm and cozy and no parts of it are too tight, and the front magically stays in front of my chest which is the best (because it helps keep the whole shrug in place & it keeps me more securely wrapped and warm)! 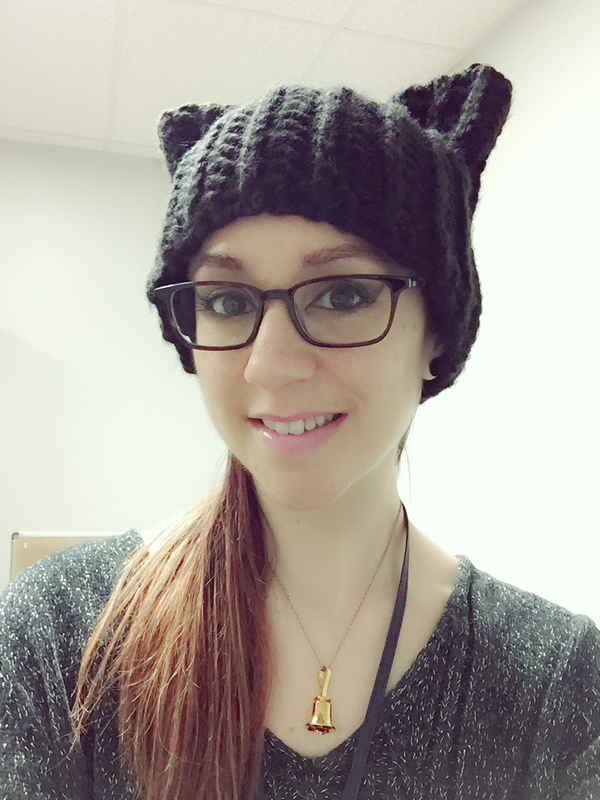 I like how it completely covers my neck — that’s one of my issues in winter with my sweaters that have larger necklines — my neck gets too cold! So to sum it up, I like this shrug a lot. It was easy to make (minus the math headache that I completely created for myself) and took a little over 2 months to knit, working on it pretty regularly but not obsessively. I wanted to make a crochet shawl that has a large wingspan so that I can add buttons and wear it as a cardigan if I want to, like The Boho Crochet Wrap does. However, when I purchased a pattern that I thought would be suitable for my sport weight yarn I had a huge gauge issue. The pattern I purchased is called Picnic, and the pattern says that gauge isn’t really important. However it does give measurements for a gauge swatch and I was so far off that I redid my swatch 4 times! It says 15 sts & 7 rows of dc = 4″(10cm) with a size E hook (3.5mm), but I went all the way up to a size H hook and my gauge was still too small! And by the looks of it even if I keep going up hook sizes to get the stitch gauge my row gauge will still be at least 1/2″ off, if not more. That’s potentially a problem if I want a large wingspan and have a limited amount of yarn to work with (988 yds/903 m)! I also like the Hotel of Bees shawl, and I could make it with this yarn (I think it would look fine in one color, and this bright yellow reminds me of bees), but it has the gauge listed on the Ravelry page & it looks like I’d have a similar issue (although maybe not so much with the row gauge… but I’d still have to go from the recommended E hook to at least an I)! Now I haven’t done a gauge swatch for crochet in a while because I haven’t really needed to; am I crocheting extremely tight? It doesn’t feel like it when I’m doing it, and I even tried the gauge swatch with my Clover Amour hooks and my Susan Bates hooks to see if the different kind of hook made a difference (it made only a tiny difference in row height). What do I do? I feel bad about paying for the pattern if I’m not gonna use it but I don’t want to spend all that time making the shawl if it’s not gonna be the size I want. Maybe I could just try to make The Boho Crochet Wrap in this yarn instead of a DK weight yarn. It calls for 980 yds of DK weight yarn though and I only have 988 yds of sport weight yarn — if I went up a few hook sizes do you think I could make it work out to be the same size? Ugh, all this nice yarn poses such troubles because I want the pattern for it to be perfect! Please let me know below what you’d do, or if you have any suggestions. Now I just have to block it! I’ll try to get to that soon. In other life news, Chris and I have been thinking about getting a firearm for our home for a while now and we’ve been prompted to speed things up a bit due to a worrisome ex-coworker of Chris’ who is apparently on drugs & very unstable. I’m going to go to a shooting range nearby and get a few lessons from a certified instructor so that I know how to safely handle a gun. Shoutout and thanks to Chris’ parents for helping us with this process! Also, I’m going to be starting therapy/counseling myself next Tuesday; I love going to counseling and I’ve been struggling a bit lately so I think it’s going to be really good for me (which will make things better for Chris, as well). I don’t know how often I’ll go but I’d like to do it once a week, and fortunately my job is flexible and willing to work with me. The counselor works on a sliding scale so the cost is really low compared to standard pricing. Shoutout and thanks to my parents for helping me with this process! Well, that’s all for today, thanks for stopping by! Like I didn’t have enough WIPs already. 🙂 I couldn’t resist purchasing the new Victoria Shawl pattern. The perfect yarn was already sitting in my stash: KnitPicks Stroll Tonal Sock Yarn in Seashell. 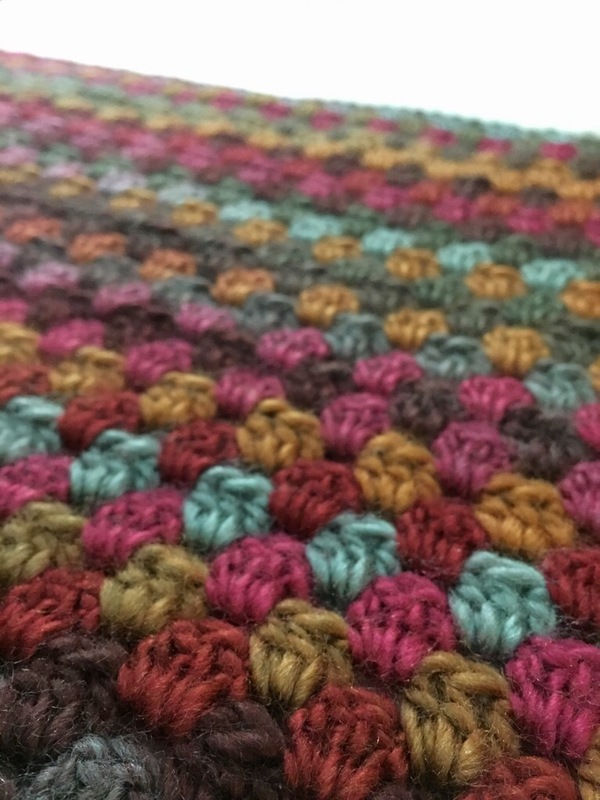 The pattern is easy to memorize and not difficult to do; so far it’s just been chains, double crochet stitches, treble crochet stitches (at the top edge), and puff stitches. It’s working up at a decent rate, too. The stitch pattern kind of looks like flowers to me, and the colors in the yarn remind me of Japanese cherry blossoms. Maybe I’ll nickname mine the “sakura shawl.” Really pretty for spring, if your spring isn’t already hitting the 85 degree mark. It’s been a little toasty this past week, and I’m envious of all the places that are still getting snow and wintry weather! The only thing “snowing” here is the pollen — my red car looks brown from the the added layer of yellow-green. Anyway, that’s all I’ve got for today. See you soon, and thanks for stopping by!